President Trump announced tonight he's nominating Scott Gottlieb as the new Food and Drug Administration commissioner. Here's what you need to know about him. He's a resident fellow at the American Enterprise Institute and a venture capitalist. 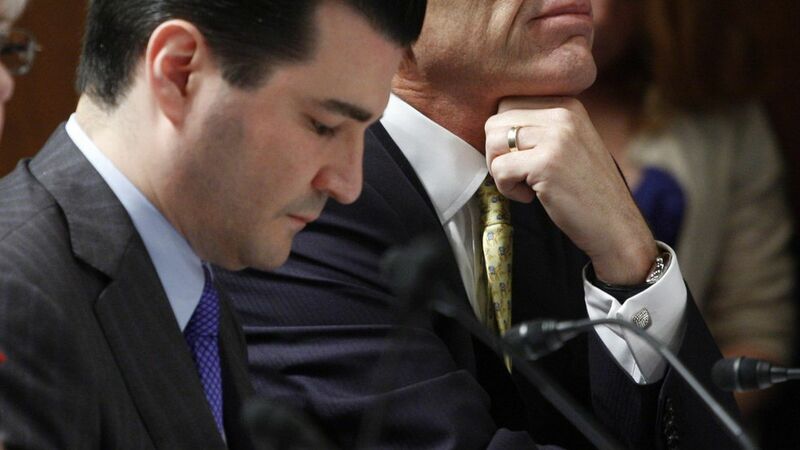 He was also a deputy FDA commissioner under President George W. Bush. He's a more establishment Republican than some of the other reported candidates, like Jim O'Neill, an ally of venture capitalist and Trump adviser Peter Thiel. But Gottlieb is sure to be a reliable advocate for most conservatives' goals for the FDA, like speeding approval times. As we reported in a pre-launch edition of Vitals in December, Gottlieb gave a pretty good idea of what his FDA agenda would look like in Senate testimony in October: rewriting FDA's rules to help it approve more generic substitutes, and encouraging Congress to let drug makers provide discounts at the front end, not rebates at the back end. He's a frequent contributor to Forbes and has written many articles about FDA issues. He has told STAT that he would pay special attention to the safety of the blood supply and unsafe foods. He has been a vocal critic of vaccine safety skeptics — a stance that could create conflicts with Trump, who has questioned the safety of vaccines many times.